The Guernsey girls of Upper Canada Cheese on the shores of Lake Ontario. Forget about Jersey. It’s really all about Guernsey, and these Guernsey Girls are taking it from farm to table. On the fair-weather shores of Lake Ontario, there lives a Guernsey herd of cows. These girls delight in their surroundings—basking in the lakefront sun, fresh air and fertile soil of land protected by Ontario’s Greenbelt at St. Anns, nestled in the bountiful Twenty Valley. Their blissful disposition on the family owned Comfort Farm assists in producing celebrated, uniquely golden-shaded, flavourful milk with distinct, local characteristics: ideal for premium cheesemaking. It must be true, happy cows make superior milk. And that makes Upper Canada Cheese Company’s founding partner Wayne Philbrick very happy as well. His creamery has committed since 2005 to using the exceptional Guernsey milk from this herd of about one hundred, one of only a half-dozen Guernsey herds in Canada, relying on their rich milk to create his select, artisanal cheeses: Comfort Cream and Niagara Gold. After growing up in the Niagara Peninsula on a family-run fruit farm, Philbrick experimented with tandem passions for wine- and cheese-making, eventually getting hooked on the craft cheeses of Quebec during trips to the region. In developing the “first generation” of his two top-sellers, he chose Guernsey milk for the truly special features it afforded: enriched health benefits, quality, colour and, of course, creamy taste. 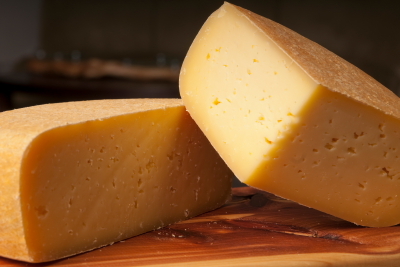 The breed originally hails from the island of Guernsey in the English Channel, but its adaptable temperament and unparalleled characteristics make it a clear winner for boundless gourmet-cheese production. Guernsey milk contains 12% more protein, 30% more cream, 33% more vitamin D, 25% more vitamin A and 15% more calcium than the average Holstein milk. Along with its uncommonly high yield of beta carotene, a great source of vitamin A which has been recently touted to help reduce the risk of certain cancers, the milk also has 5% butterfat and a notable 3.7 % protein content. Working closely with the Dairy Farmers of Ontario, Upper Canada Cheese has a rare arrangement with the DFO to deliver their Guernsey milk first in the morning before the truck picks up any other milk; allowing only the purest, freshest ingredients available to merge with the talents of their cheesemakers. 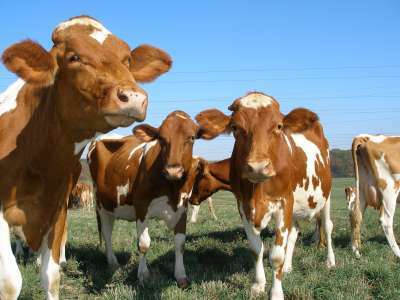 The creamery also retains a license and the exclusive rights to create products using this particular local herd. Building these relationships required the ongoing persistence, perseverance and patience of Philbrick to ensure their specialty cheeses would always uphold an extraordinary and unique profile. 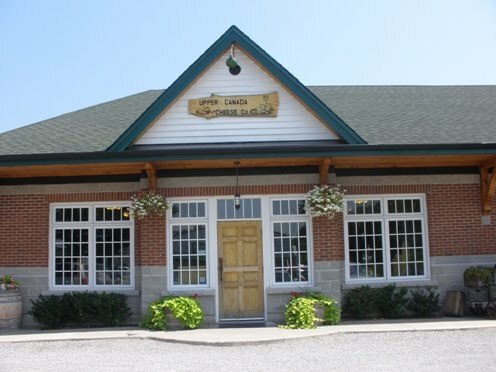 Upper Canada Cheese is located in Jordan Station, Ontario. Now, in the first new Niagara creamery in generations, Upper Canada Cheese Company handcrafts and ages premium artisanal cheeses on-site at their Jordan Station location which also houses a cheese boutique that caters to the “culinary enthusiast.” Together with selected gourmet products, the epicurean store integrates Upper Canada’s make room and cellaring facility into a traditional train station building design; suggesting a historic return to the time-honored craft of cheesemaking itself. So, while this Guernsey herd might not “gym, tan and laundry” exactly like their counterparts on the shores of Jersey, these girls are thankfully proving to be a lot more tasteful. Comfort Cream – A camembert-style soft, white bloomy rind cheese with a silky, creamy, golden interior. Rich flavours of fresh truffles prevail with an intense, buttery palate and a long, tangy finish. This delicate and luscious artisanal cheese is hand-salted, hand-turned and hand-wrapped. Comfort Cream is stored in temperature and humidity-controlled cellars for at least four weeks before sale, with an additional few weeks of aging seeing the cheese ripen and mature in flavour, texture and colour. 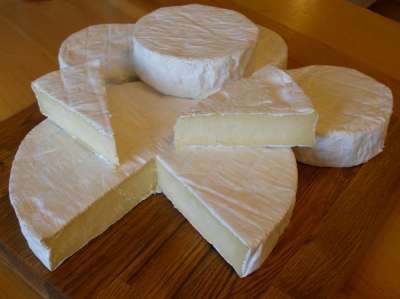 Niagara Gold – An Oka-style, semi-soft, washed rind cheese fashioned after recipes developed by the Trappist monks of the Loire Valley. This is a cheese with nutty, earthy overtones and mellow, buttery flavours. A luscious cheese that is delicately mild and sweet when young and gains pungency and piquant qualities with age. The rind may be eaten or trimmed depending on your taste. It is sold after five months of careful aging in cellars and, under good conditions, it ages well for months and continues to develop unique flavours over time. If you can’t drop by, check out the Where To Buy page, or order by phone or email. Upper Canada Cheese Company will be a featured cheesemaker at The Great Canadian Cheese Festival taking place June 4-5 at Crystal Palace in Picton, in the heart of Prince Edward County, Ontario’s hot new wine region and fastest-growing culinary destination. Based in the Garden City of St. Catharines, Ontario, freelance writer Christine Darragh specializes in food and wine and other attractions of the Niagara Peninsula. to create a quick family favorite.